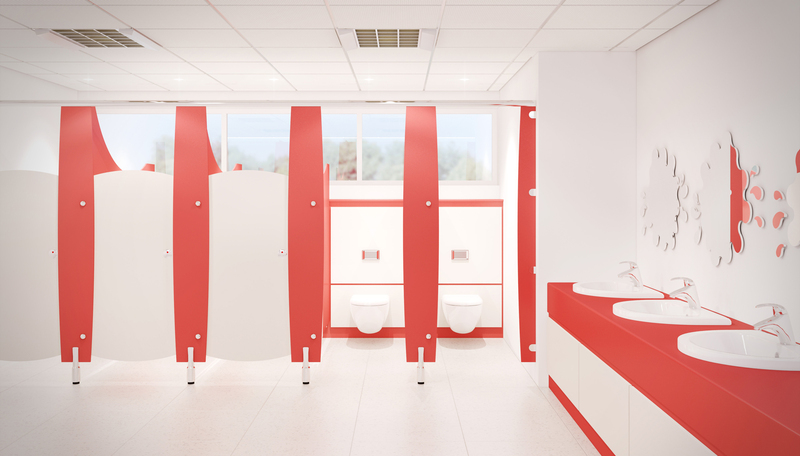 A stylish and hardworking cubicle system that creates a fun, safe and practical washroom. Our Butterfly range works extremely well in schools, the design helps young children have fun whilst feeling safe. Available in three different heights (dependant on the target age) and with a whole host of great ‘child-friendly’ features, including magnetic catches and anti-finger trap hinges. Our Butterfly cubicle ironmongery is manufactured from strong, polished aluminium and the cubicle panels can be supplied in either MFC, HPL or SGL.